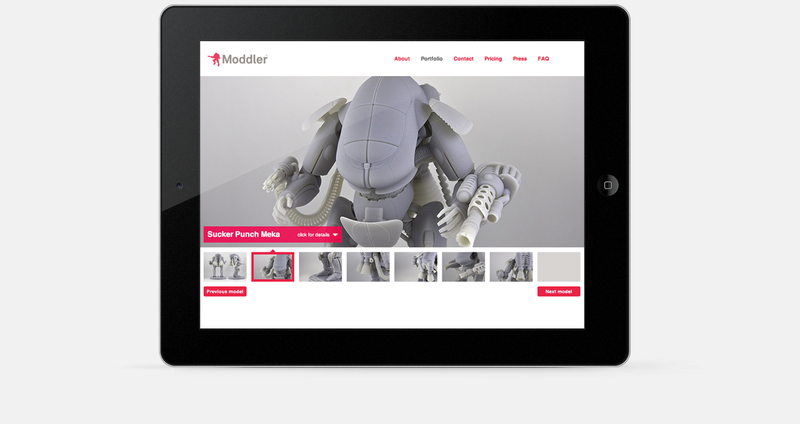 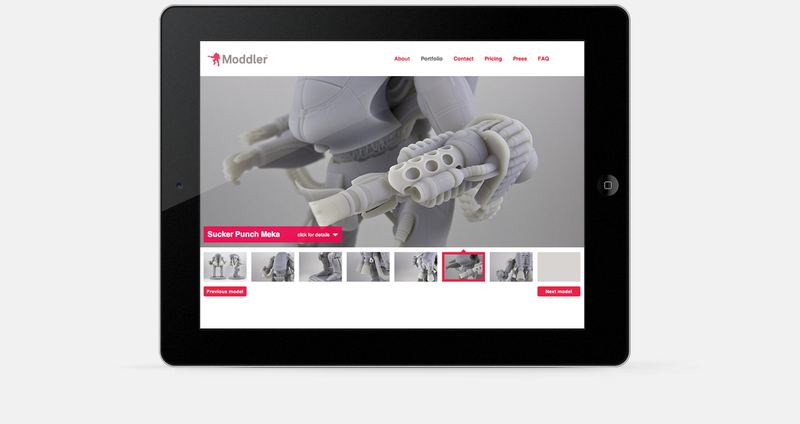 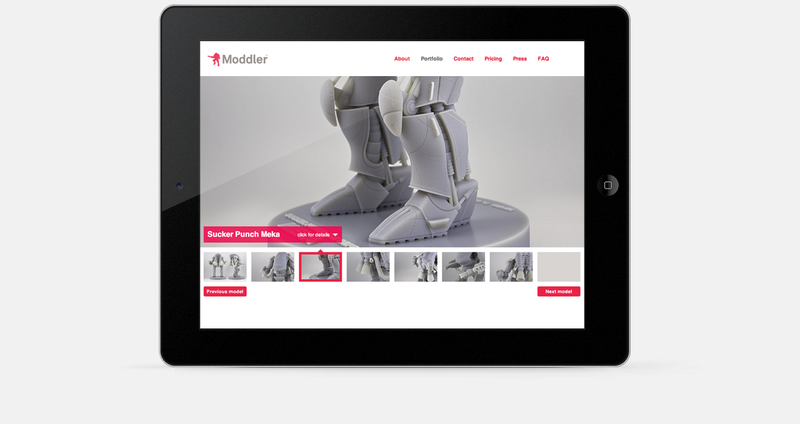 Moddler is a 3D printing company that serves the film, visual effects, and video game industries. 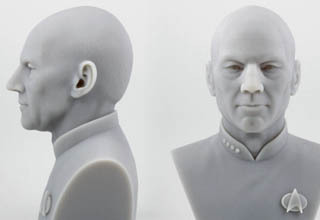 Using the latest 3D printing technology, they are able to achieve an incredible level of detail. 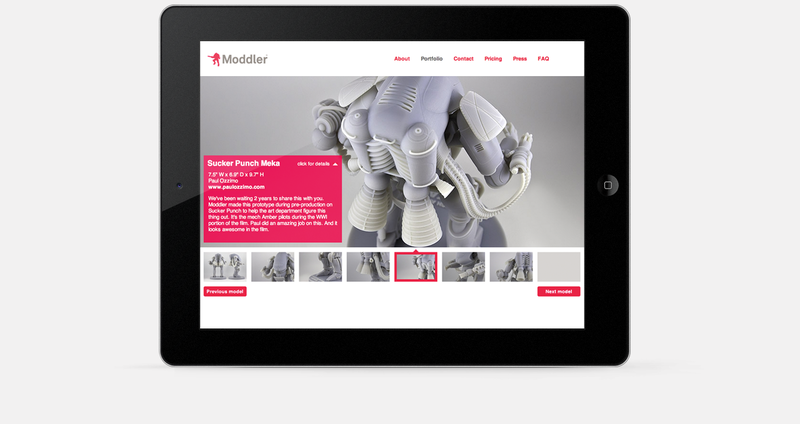 Also, with a background in VFX, they know exactly what their clients are looking for and can fine-tune their 3D design files to ensure the best build possible. 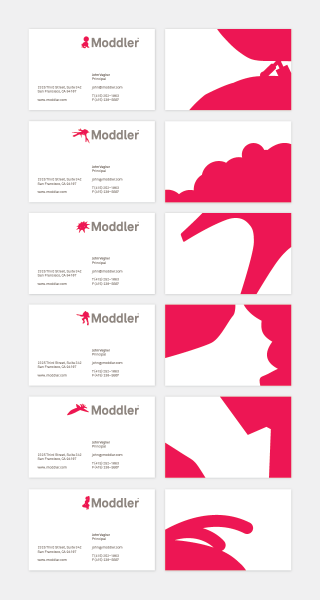 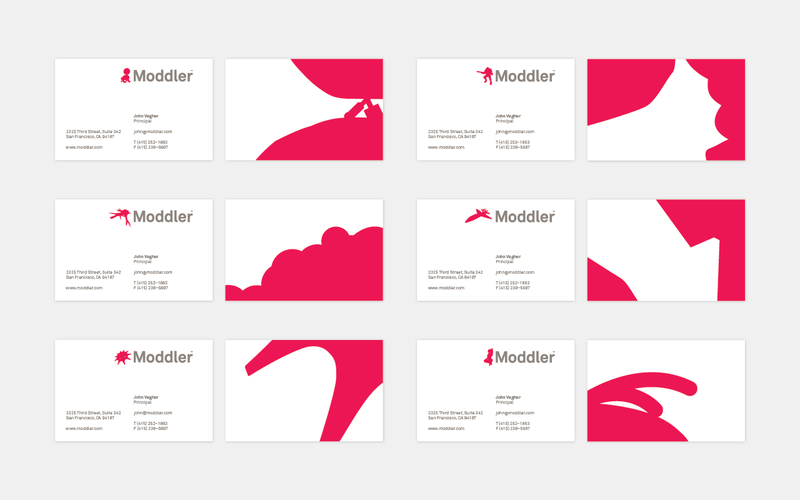 Before the launch of their service, we created an identity system for Moddler that helps communicate the array of possibilities and level of precision available to Moddler’s clients. 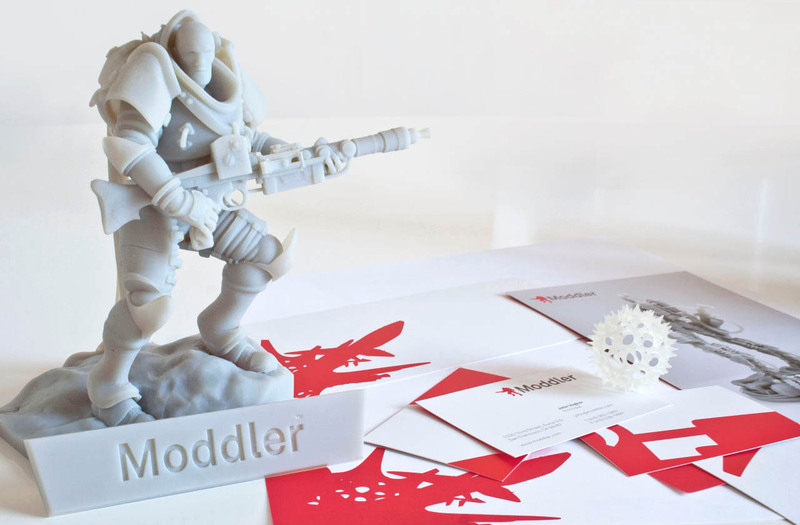 Working with Moddler, we defined the brand promise of “Plastic Possibility”. 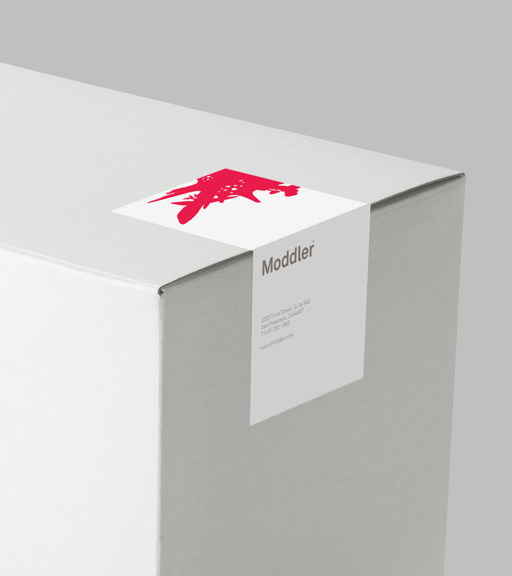 To communicate this potential, we took a modular approach to designing the identity. 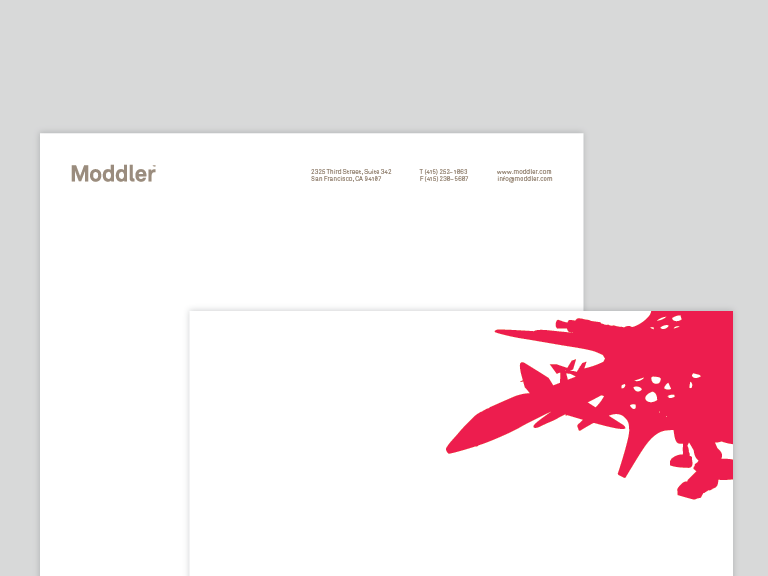 Archetypal forms from the industry, including an action figure, a spaceship, and a robot, are used interchangeably in association with the crisp, technical wordmark. The definition and craft of Moddler models is astonishing. 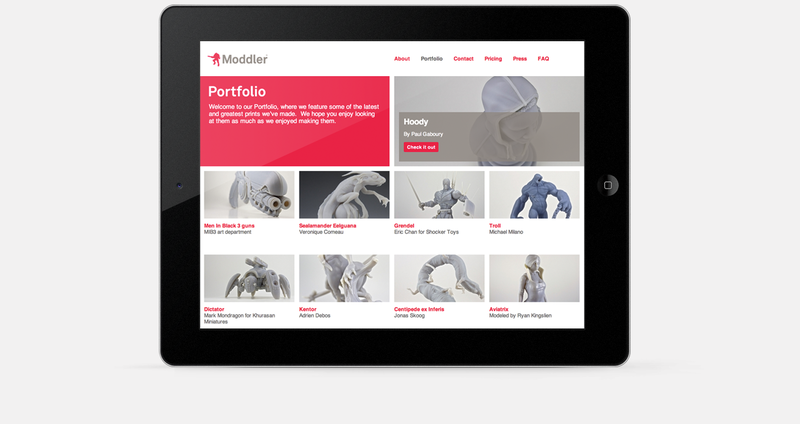 As this is their differentiator, the core of the Moddler website is an interactive gallery that displays close-up photographs of each model.